Species Profile: The Silky Shark - We Love Sharks! Species Profile: The Silky Shark - We Love Sharks! The Silky Shark is a widely distributed but heavily fished shark. The Silky Shark is a species of requiem shark that gets its name from its silky and smooth skin texture. This species is so widely distributed that it is known by almost 10 different names depending on its locality. It has a slender, streamlined body colored a deep, metallic bronze/gray and a white belly area. Because of its extremely acute sense of hearing, it can detect prey even at great distances. Though it has behaved aggressively to divers in the past, attacks are very rare as humans hardly enter its preferred oceanic habitat. The Silky shark was once abundant globally and fished for its liver oil, jaws, skin, and meat. 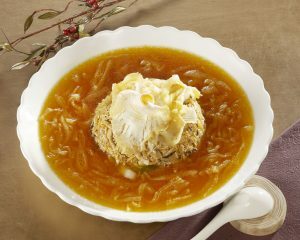 But above all, it is sought after especially for shark fin soup. Consequently, its conservation status has deteriorated from Least Concern to Near Threatened by the IUCN. This shark is one of the larger members of its family with adults growing to about 5 meters (8.2 feet). The largest individual measured 3.5 meters (11 feet). Females of this species grow larger than males. 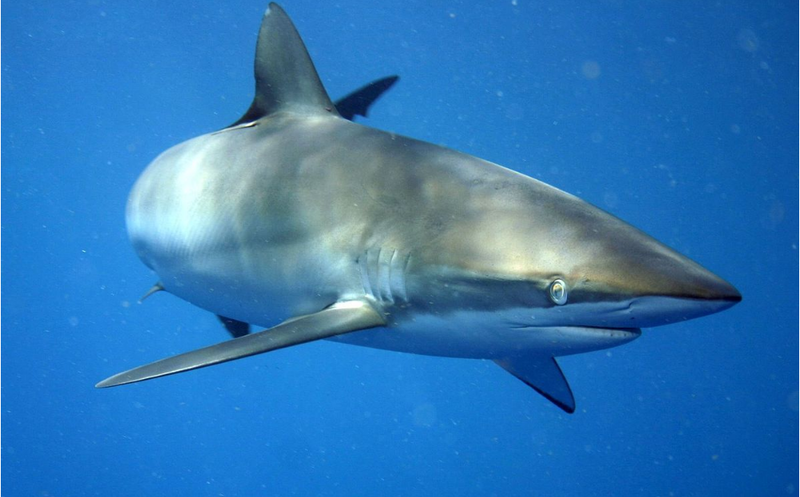 The Silky Shark Is Highly Sought After For Making Shark Fin Soup. The silky shark has large, sharp cutting teeth and a formidable size. That combination makes it potentially dangerous to humans. In fact, there are cases of individual sharks chasing divers and forcing them out of the water. This fish may also approach people out of curiosity with a boldness that is often interpreted as threatening. In addition, they can become dangerously excited when they sense food. However, it rarely comes in contact with humans owing to its oceanic habitat. The International Shark Attack File records six unprovoked silky shark attacks on humans as at May 2009 though none were fatal. Silky sharks are viviparous: therefore they give birth to live, fully formed pups. Gestation period lasts about one year with a litter having between 15 or 20 pups. The pups are born in reefs and they will remain there well protected from would-be predators. They eventually venture out into the open ocean when they grow to become juveniles. Males reach sexual maturity at ages of 6 to 10 years, and females 7 to 12 years. However, sharks of this species living in more temperate waters tend to grow slower than their kind in warmer waters. The silky shark is not particularly selective in the type of fish it eats. Actually, they are opportunistic predators that will feed on tuna, lanternfish, sea catfish, mackerel, sardines, mullets, groupers, snappers, sea chubs, eels, and so many other species too. They’ll also eat squid, and may even scavenge on whale carcasses. Silky sharks also hunt in groups where there is abundant prey. They will herd smaller fish together into a ball and then pass through the prey catching fish as they go. Interestingly, these sharks often follow schools of tuna fish accompanied by bottlenose dolphins. Though the sharks and dolphins compete to eat the tuna, they don’t attack each other. In a few instances, the dolphins may even chase the sharks away when they outnumber them. Silky sharks are attracted in large numbers by low frequency sounds of between 10 and 20 Hz. As mentioned earlier, the Silky shark was one of the most abundant and widely distributed shark species on the planet. But their fins in particular are highly valued for shark fin soup. Also, they are often caught as bycatch as they tend to pursue large schools of tuna: which the fisheries are also after. In fact, in the past commercial fisheries assumed it was immune to depletion. Thereof they fished it heavily. In some years, they would capture almost 1 million of these sharks. As expected, their numbers have now declined sharply and substantially. The major challenge is that even though fisheries no longer target this shark directly like before, the fact that silky sharks follow tuna around is a serious concern. Tuna fisheries encounter them as bycatch all the time and there is no easy solution to the problem. This problem is particularly glaring in the waters off Mexico, Guatemala, El Salvador, Costa Rica, the United States, Ecuador, Spain, Portugal, Sri Lanka, the Maldives, Yemen, and Côte d’Ivoire. Silky shark fin is very valuable as the main ingredient in shark fin soup. This shark is the second most traded on the Hong Kong fin market (after the blue shark). People also hunt it for sport. In 2007, the IUCN had to reassess the silky shark from the previous Least Concern status to Near Threatened worldwide. German biologists Johannes Müller and Jakob Henle were the first people to officially describe and name the silky shark in 1839. The second half of its scientific name – Falciformis – is formed from the Latin word falciformis meaning “sickle-shaped.” That refers to the shape of its dorsal and pectoral fins. Fossilized teeth from the silky shark exist as far back as the Late Pliocene (about 3.5 million years ago). Others were found dating to the Miocene (23 to 5.3 million years ago). There is recent evidence that it is related to species like the sandbar shark, the bignose shark, the Caribbean reef shark, Galapagos shark, oceanic whitetip shark, the dusky shark, and the blue shark. Though the closest relationship is between the blue shark, the bignose shark and the silky shark. The silky shark remains one of the most widely distributed sharks in the pelagic zone. Despite overfishing, it is still regularly seen in many regions especially in tropical waters. This is a highly mobile and migratory species often swimming up to 60 km (37 miles) per day. In the Atlantic Ocean, it swims around Massachusetts (USA) to Spain, then from southern Brazil to northern Angola, on to the Mediterranean Sea, the Gulf of Mexico, and the Caribbean Sea. It is common in many other regions like Mozambique, Australia, China, Japan and so on. Wherever it’s found, the silky shark prefers the open ocean between depths of 200 meters (660 feet) and 500 meters (1,600 feet).